Situated in a wonderful tourist enclave next to the Tower of London, this park is one of the city's biggest green spaces. 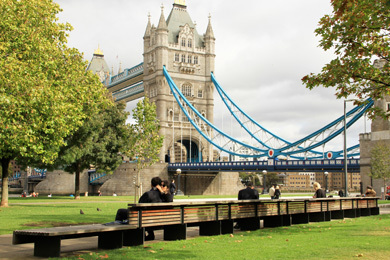 Its remodelling took into account the growing number of visitors, promoting the revitalization of the park area next to the Thames through the arrangement in the space of street furniture inviting you to rest and to socialize. 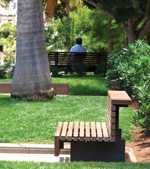 For this, two designs were selected by famous names from Spanish architecture: the Moon bench (by Enric Batlle and Joan Roig) and the Nu bench (by Jordi Henrich and Olga Tarrasó).